Dream is the word that comes to mind when I look through Madison and Zac’s engagement session from last night. These two drove to Charleston from Indiana on Monday to have a little R&R while Madison is on spring break from law school. 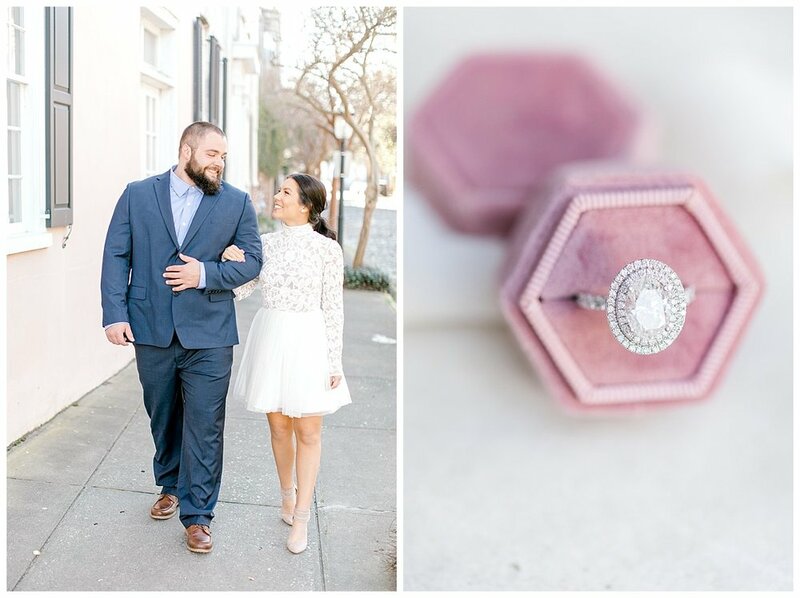 They got engaged this past fall on November 17th and figured what a better place to do their engagement photos than Charleston. 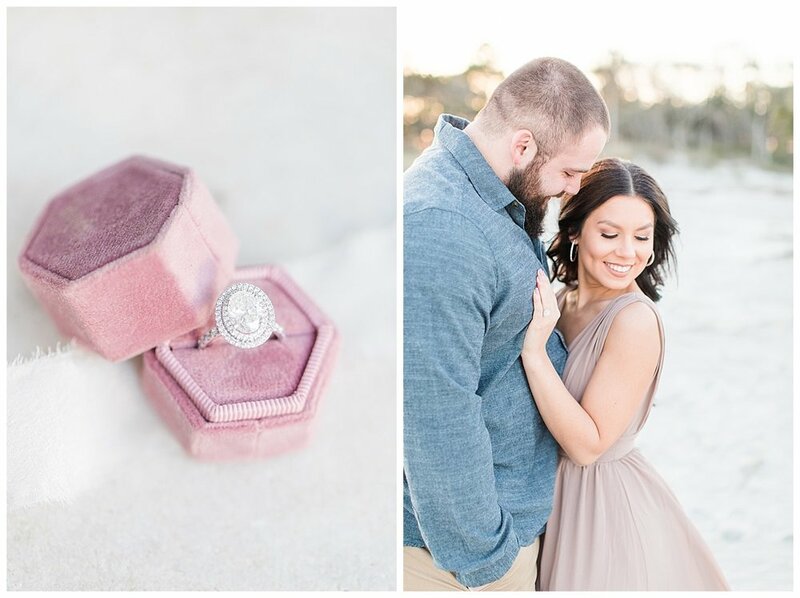 I had so much fun chatting with Madison before they arrived discussing their outfits and location ideas and we decided that we would start the night out at the French Quarter and end the session on the beach, so of course, we settled on Morris Island Lighthouse. These two came dressed like they should be on the show Southern Charm. 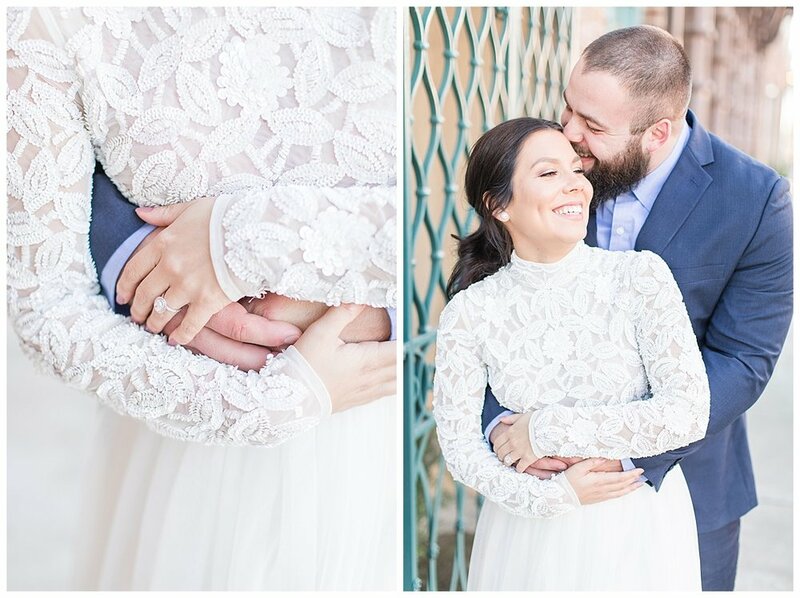 I was so happy that ASOS pulled through the last minute and got Madison her beautiful white dress as I could not imagine a perfect outfit for their session. I loved hearing about their fur baby Rhett and getting to know both of them. Here is your fair warning that Madison and Zac are so adorable they will surely melt your heart! 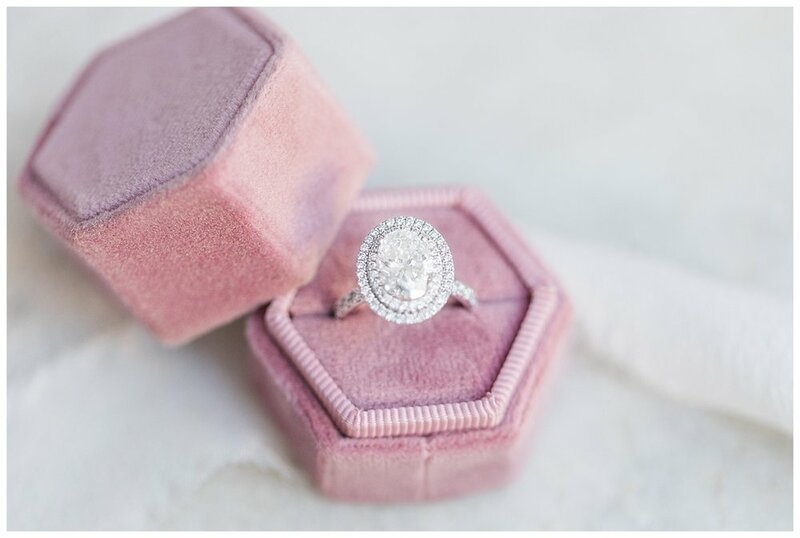 Here are a few of my favorite photos from their engagement session.